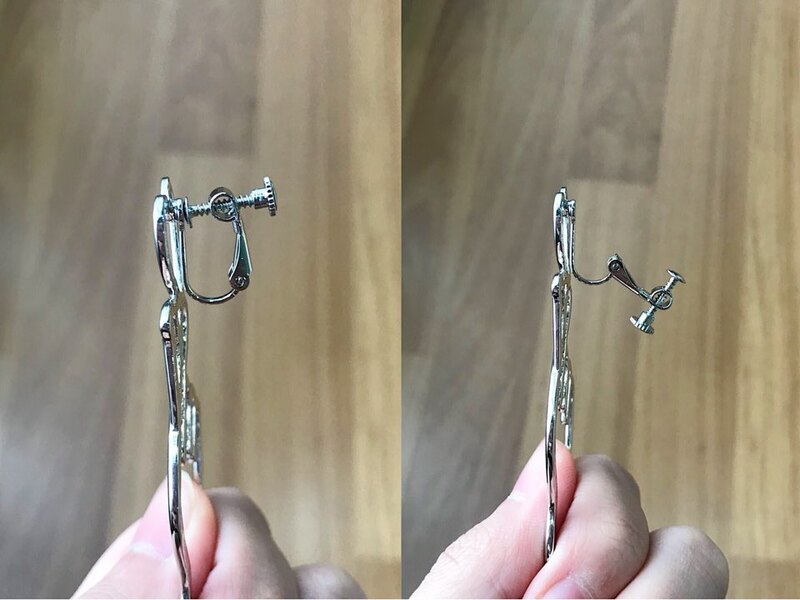 The other day, I came across the cutest pair of earrings on an Instagram blogshop and I really wanted to get it but it was almost RM30..!! Not even including postage! 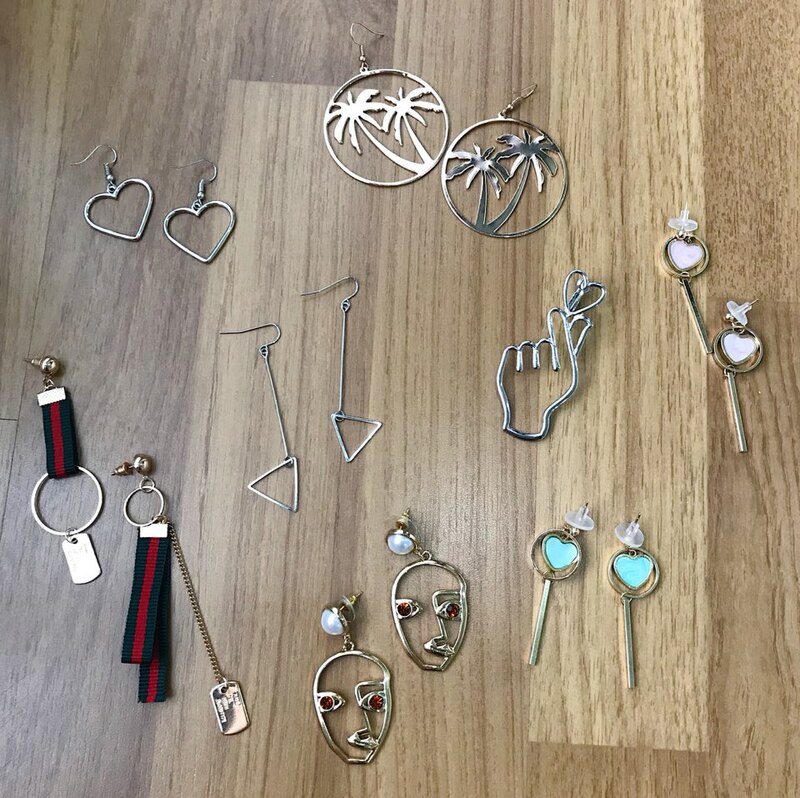 😫 I really didn't feel like paying that amount for something that wouldn't even be top-quality, so I decided to bite the bullet and go straight to the source to get the earrings - and I ended up picking another 7 pairs to go along with it.. I know most people shop for clothes on Taobao but as I mentioned before, I'm really picky when it comes to my clothes (especially bottoms - I HAVE to try them on before I buy) and I have this giant irrational fear of buying something and regretting it instantly after I pay for it 😭 ..okay, maybe that's rational, because at least this stress gives me time to think about what I'm buying and saves me money, lol. I think buying earrings online are a really safe choice for me because I LOVE wearing big, crazy earrings that are not easy to find in person, and my piercings have healed years ago so I'm not too worried about infections or anything. Anyway, enough rambling - on to what I got! First off, here are the earrings that I saw on the blogshop originally - and I got them for less than RM3! 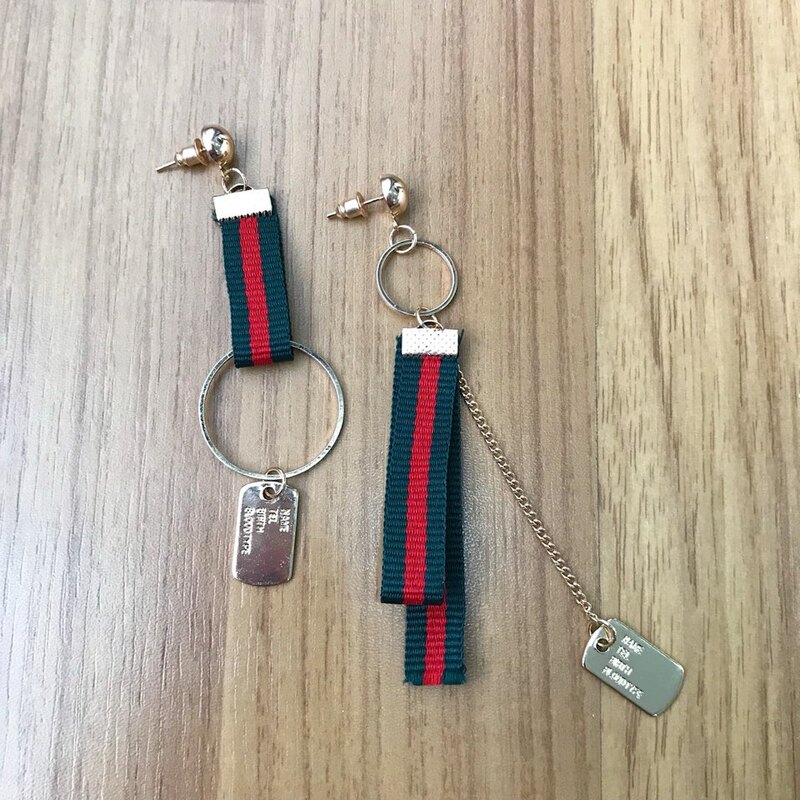 😱 I love that they're uneven and they have the red and green strap (trying to get that Gucci look without that Gucci price, of course), I think they would look so pretty with white tops or off shoulder tops. Of course, you get what you pay for, and the straps came a little bit frayed, but it didn't bother me, personally! I just cut off the loose strings and they looked good as new. 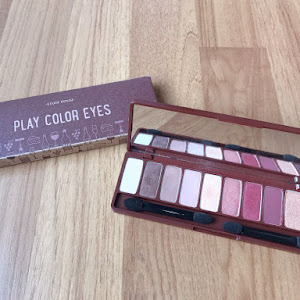 I saw these on the same blogshop selling for around RM30 as well, but I got both of these for around RM12! 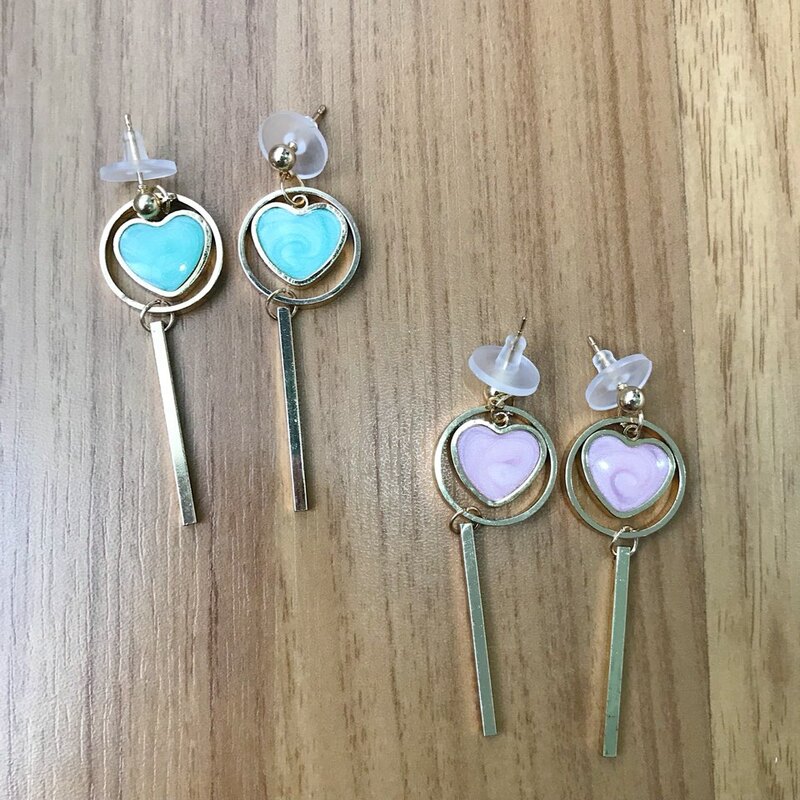 These are gold earrings with a little coloured "marble" heart in the centre. I really love this design, it feels so pretty and feminine. The quality is good - although I'm not really a fan of those rubber backings (I have both my lobes double pierced and I like to wear all four earrings in at once, but the backings make it hard to fit my third and fourth piercings 😭), it's nothing I can't live with. The seller also included a few extra rubber backings, which was really nice! I got all the remaining pairs from the same Taobao shop, WBW SHOP. They have a great selection of Korean/Japanese-inspired accessories, ranging from simple and basic styles to really interesting, contemporary designs, all without looking too "crazy" or "unwearable" for everyday. 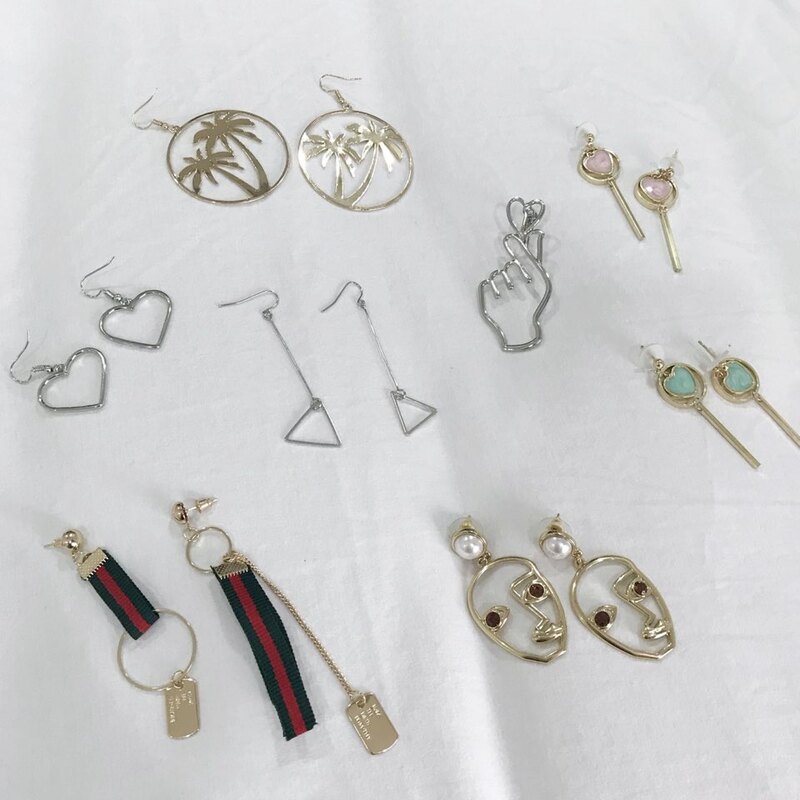 Although when it comes to earrings, I don't believe that anything is "unwearable" - I'd happily wear "weird" earrings any time! 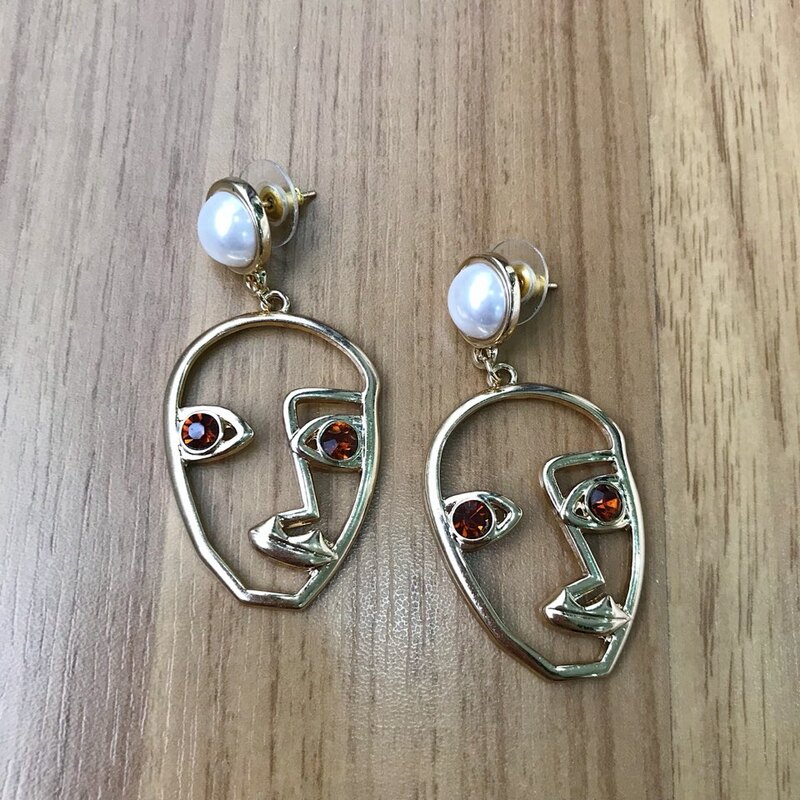 These are gold drop earrings with a pearl stud and an.. interesting face shape design. Of course, I fell in love at first sight - the faces give me some real Picasso vibes 😋 The eyes have little amber(?) gems in them as well! This pair also has huge rubber backings but again, I'm not too bothered by it. 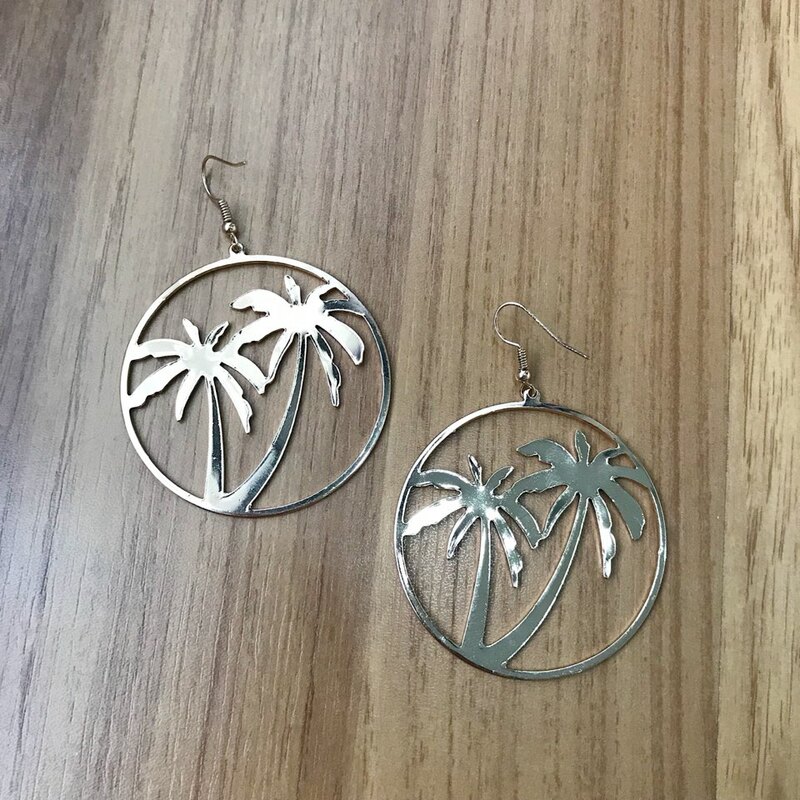 Another pair of gold earrings (which is really weird, considering how I actually wear silver jewellery more often.. 😳) with a palm tree design. 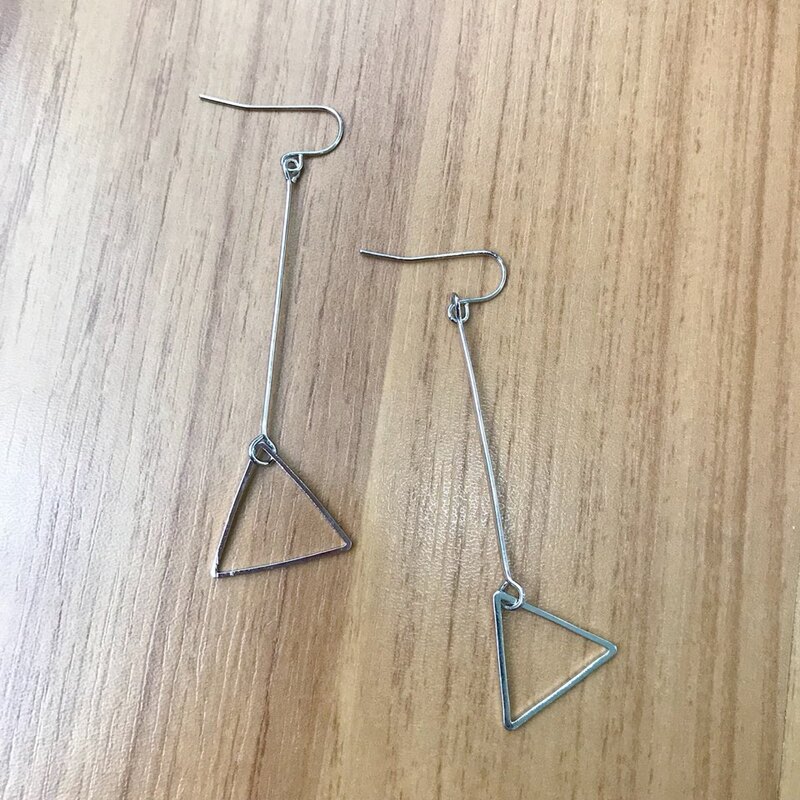 These are dangle earrings, which I LOVE because you don't have to deal with any earring backings at all 😂 and I can fit my second lobe piercings easily with these on! This pair looks super summery and I think they'd pair great with tank tops. 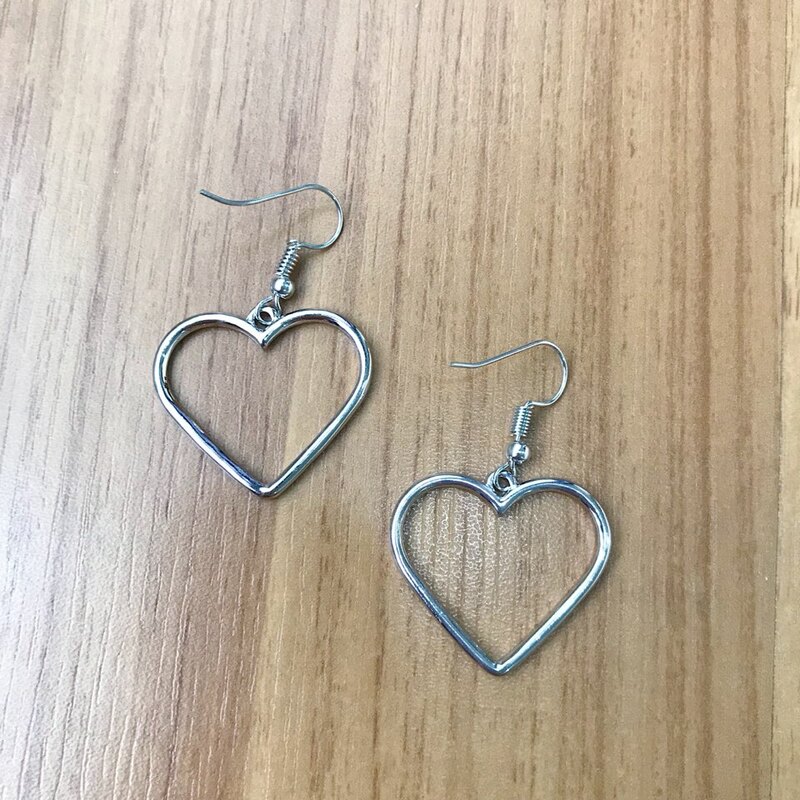 These next two pairs are just simple silver dangle earrings with triangle and heart designs. I just picked these because I wanted more pairs of earrings that I could just quickly wear and go when I'm running late but I still want to look cute and put together. Finally.. the star of the show 😍 Omg, I'm so excited to talk about this one!! As soon as I saw this on the store I instantly added it to my cart because I couldn't resist. 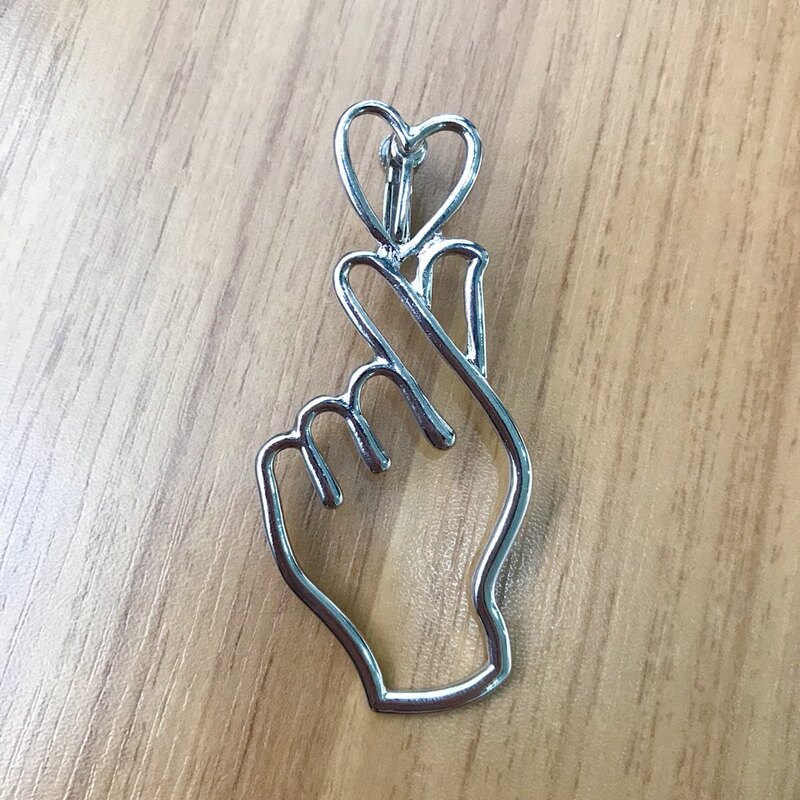 This is a silver clip-on earring in the shape of a finger heart and I'm absolutely in LOVE with it. Admittedly, due to my awful Chinese reading skills, I didn't look at the description and assumed this was a pair of earrings but it was only one.. 😅 And it's a clip-on, too, which I don't really need since I have real piercings.. but on the bright side, it serves its purpose as a statement earring, and since it's clip-on and adjustable, it's really comfortable and doesn't tug on my ears at all. The clip-on mechanism - it's way more comfortable than I expected! That's it for my haul! If you were wondering, I didn't pay for international shipping or use any Taobao buying service as I just had it shipped to my dad in China and asked him to bring it home for me, so I can't really give my thoughts on that experience but Taobao does ship to Malaysia now (albeit at a small price, of course 😅). Shipping within China was, of course, super fast, and the sellers even included free gifts (some hair pins and a measuring tape.. which is not that exciting but I appreciate the effort HAHA), I definitely recommend it! Especially with WBW SHOP - everything came exactly as shown in the photos and I plan on buying more accessories from them again.